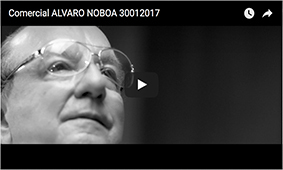 At I99 the 98.9 Interview of the Attorney Alvaro Noboa, he showed his proposal of security, employment, foreign inversion and Education. The difference between Lucio Gutierrez and myself is that “he has already governed the country, and people knows what he did”, said Noboa. With Guillermo Lasso the difference lies in the fact that “he is a right-winged banker and I am a center – left politician”. “Lasso worked with Mahuad an he is co-responsible for the worst financial crisis in Ecuador, which affected thousands of people who lost all their savings”, he added. Noboa is convinced about becoming President of Ecuador by defeating Correa in the second election round. “I am strongly supported by the working class”, he said, addressing the results of his three previous campaigns of 1998, 2002 and 2006, in which he obtained more than 46% of the votes. 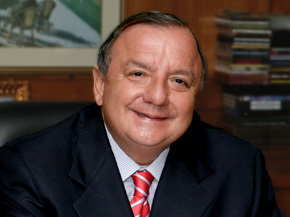 “Ecuadorians approve my proposal because they want to stop being poor” emphasized Noboa. “Mi mission is to turn them into middle class people”. “To achieve that, they will have access to specialized and university education, good jobs where they can earn 2.000 to 3.000 dollars and become subjects of credit so they can buy houses, cars and have a decent life”. He assured that he will return to the country to register his candidacy, and said that he is aware that the government will continue to take actions against him to prevent him to become the future president of Ecuador.